The following post contains spoilers from House of Cards. It might sound absurd today, but there was a time when Netflix was really only known for a couple shows. One of the first? House of Cards. 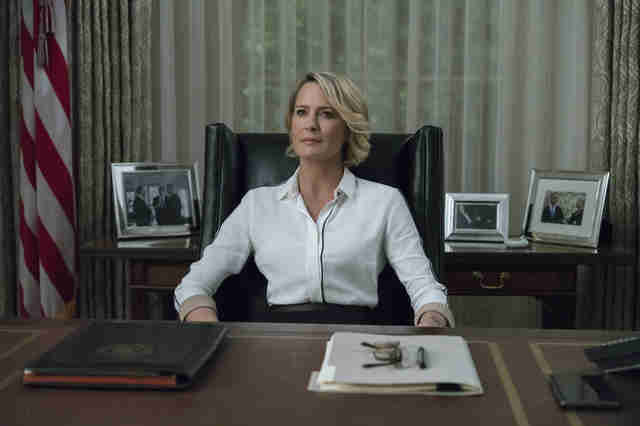 When the show debuted in 2013, Frank and Claire Underwood's criminal machinations enticed viewers and lured them into a binge trance. The Beltway became the backdrop for drama that was as riveting as anything HBO, AMC, and other prestige competitors had previously boasted. 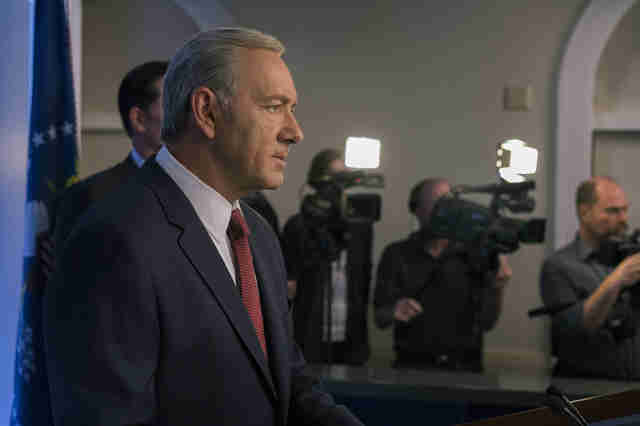 The problem, of course, is the star at the center of House of Cards is a star no more. After sexual misconduct allegations roiled Kevin Spacey's reputation, the show, entering its sixth and final season, has been forced to correct course and make sweeping changes to the conclusion of the Underwood story. Below, everything we know about the upcoming series finale -- a dossier we'll update as more info becomes available. Is House of Cards Season 6 still happening? As of now, yes, though for a period of time, it was looking like the answer would be otherwise. As a brief refresher: Last October, Star Trek: Discovery and Rent actor Anthony Rapp alleged in an interview with Buzzfeed that Spacey had sexually assaulted him when he was 14 years old. The ensuing media maelstrom made many wonder if Netflix would be forced to cancel the series outright. The thinking that prevailed, however, was that there were hundreds of other actors and crew members who would be put out of work if the sixth season got the axe. Reported Variety, at the time: "The feeling is that they did nothing wrong and should not be penalized for Spacey's behavior." Will Kevin Spacey be in the final House of Cards season? No. Almost immediately after the Rapp story surfaced, it looked like the show was going to cut ties with Spacey. Although the star began unspecified "evaluation and treatment," a report from CNN, containing allegations that Spacey made the House of Cards set a "toxic" environment, came less than a week later as the final nail in the coffin. He was officially suspended from the production on November 3, 2017, and would not be coming back. 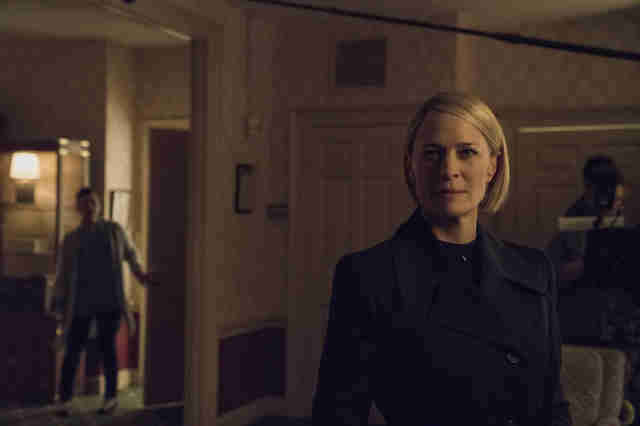 The revelations prompted House of Cards writers to brainstorm "several options" to kill off Spacey's character, Frank Underwood, confirmed in a promo video posted to Twitter on September 5 where President Claire Underwood is talking to her dead husband's grave. How he exits remains to be seen -- likely so until the Season 6 premiere. Yes! 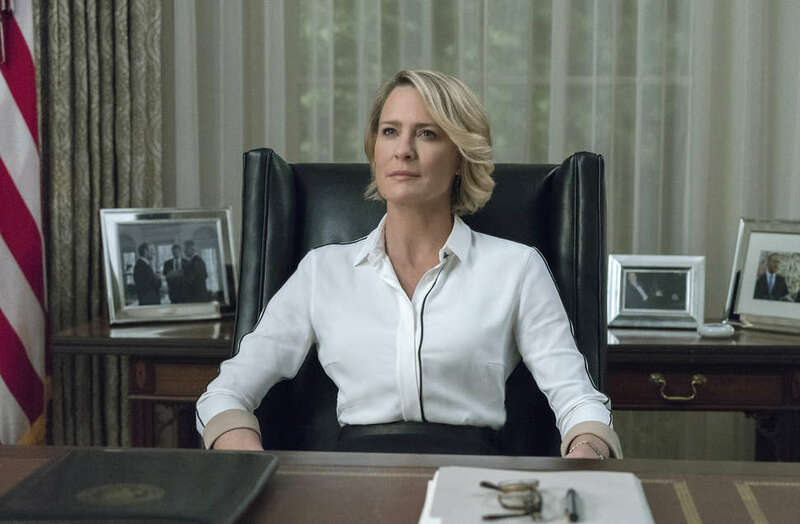 In fact, in the run-up to Season 6, it's become clear that Robin Wright, who plays Claire, led the charge to finish the show. "It was truly the great Robin Wright rallying," actress Patricia Clarkson said on CBS's The Talk. "We have beautiful showrunners, Frank [Pugliese] and Melissa [James Gibson], and they killed themselves to rethink the whole show. It's only eight episodes... Robin led all of this charge so that people would save their livelihoods because when the show goes away some people don’t get paid." Who else is coming back? 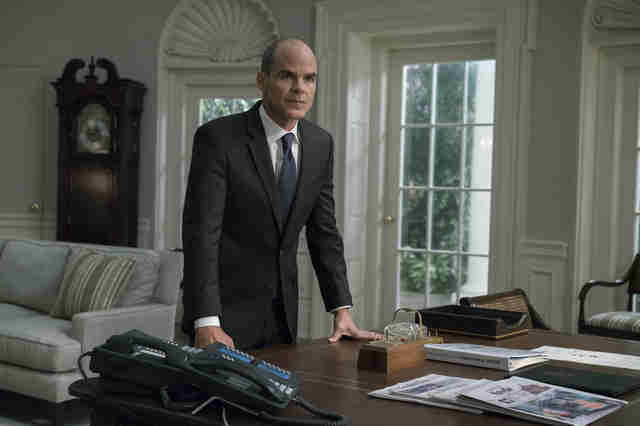 Barring Spacey and Joel Kinnaman's Will Conway, many of the other core survivors from Season 5 -- Doug Stamper (Michael Kelly), Catherine Durant (Jayne Atkinson), Jane Davis (Clarkson), Janine Skorsky (Constance Zimmer), Seth Grayson (Derek Cecil), Mark Usher (Campbell Scott), and Tom Hammerschmidt (Boris McGiver) -- will be back with Claire. And though Neve Campbell's LeAnn was looking like she was in trouble, it wouldn't be crazy to think there's a chance she's alive -- "I think you can assume that," Pugliese told The Hollywood Reporter. "Any assumption after that I think is OK."
When is House of Cards Season 6 premiering on Netflix? House of Cards might have been originally aiming for an early-summer release, but work stalled last fall in light of the Spacey allegations. The fate of the finale was up in the air until the end of 2017, when Netflix announced it would go forward with a tweaked version of the show -- one that would exclude Spacey, be eight episodes long (instead of the usual 13), and star Wright. "We're really excited about bringing some closure to the show for fans" said Netflix chief content officer Ted Sarandos. Production picked up again in January, but it was unclear exactly when the show would return. 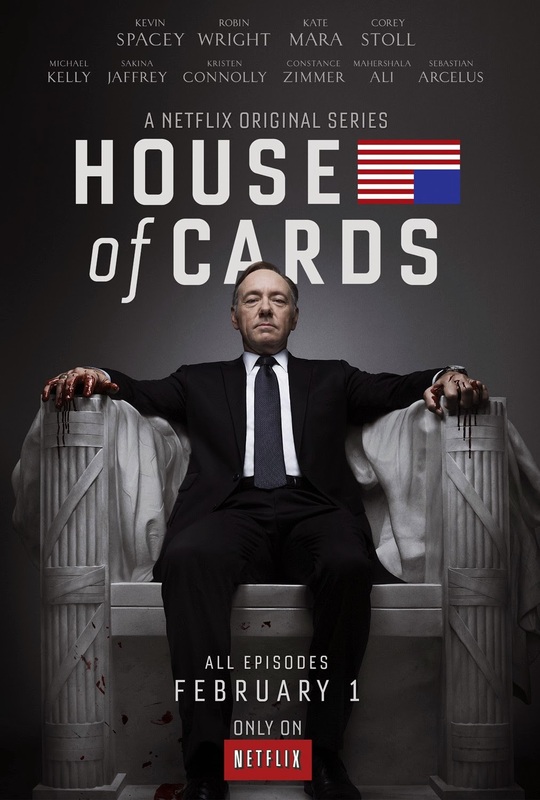 In August, Netflix confirmed that Season 6 of House of Cards will premiere on Friday, November 2. That's a little over a year after the allegations against Spacey first surfaced. As part of the announcement, Netflix released new key art for the season that's clearly intended as a homage to the promotional materials for the first season. What's going to happen in Season 6? 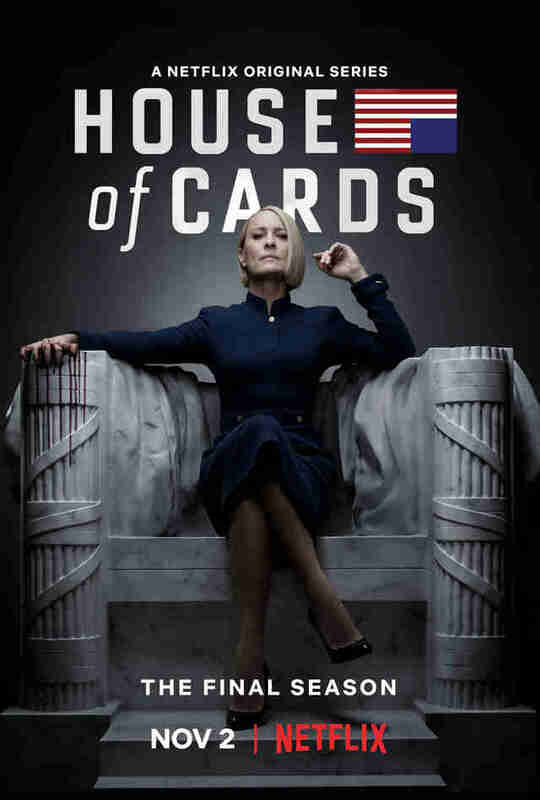 Season 5 ended with Claire becoming Leader of the Free World, breaking the fourth wall, and saying, "My turn." What was supposed to come next was a storyline about Frank transitioning to life in the private sector, where he thought the real power was. "The show has always been about the pursuit of power," Pugliese told The Hollywood Reporter after the season finale. "We wanted to expand that a little bit and try to explore other ways of power and powers outside the White House." But even before the Spacey scandal, fans were theorizing Frank was on his way out. The story that was becoming more interesting was that of Claire, a woman on the rise, a force stronger and more cunning than Frank. Added Pugliese: "Now that she’s become more ambitious, or actually just more pronounced with her ambitions -- openly about what she wants -- her complicity is going to be different than Francis' complicity." With no Spacey in her way, Wright will finally lead the show, and you can expect its conclusion to focus on its first female president. And here are a couple first-look images! What's going to be Claire's goal? Despite her newfound power, Claire enters Season 6 with blood on her hands and a potential ghost looming over her shoulder. (RIP, Tom.) While many plot details are under wraps -- especially given the rewriting that had to have taken place to cut Frank out of the story -- you can safely assume Claire will have to go to compromising lengths to keep her image and legacy untarnished. "I would personally like [Claire] to be the greatest president we've ever had," Wright told THR. "How she gets there and achieves that is a whole other thing regarding the opera of the show." While there will be many familiar faces next season, Lane (Unfaithful, Man of Steel), Kinnear (As Good as It Gets), and Fern (whom you should recognize from the most recent American Crime Story) are the most notable additions. According to reports, Fern was originally supposed to play a love interest for Frank Underwood; that will change. To what? We're unsure. The only other things we know about the new characters are Lane and Kinnear will be siblings, and everyone will get to power-frown at least once. Is this really the end of House of Cards? Yes and no. While Season 6 will be the last official House of Cards entry, it might not be the last we see of the House of Cards universe. Back in October, Variety reported that Netflix was taking a page out of Game of Thrones' book, kicking around at least three spin-off ideas. The current favorite, with writer Eric Roth (House of Cards, The Alienist) attached, centers on everyone's favorite human version of Oscar the Grouch, Doug Stamper.